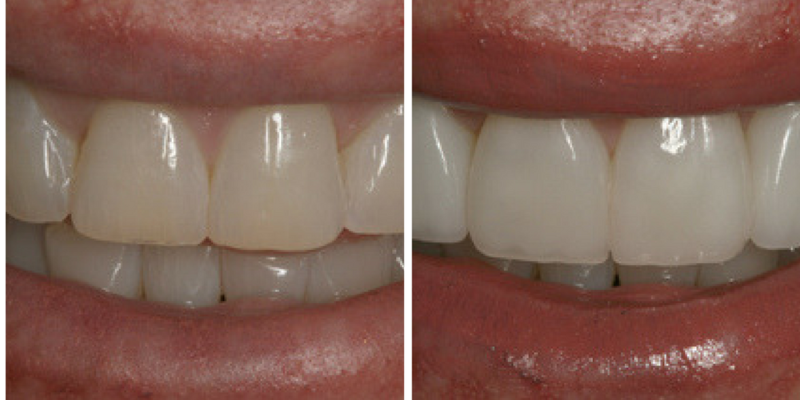 Minimal prep veneers add resilience and beauty to smile enhancement cases. During a Live Patient Over-the-Shoulder program at ATSU in Arizona hosted by Clinical Mastery Series, Dr. David Hornbrook demonstrated the ease and beauty of minimal prep veneers restorations. The patient selected as a model was Dr. Hornbrook’s hygienist Denise. The restorations on teeth 4 -13 were fabricated by Gold Dust’s Aesthetic Team and seated in one visit. 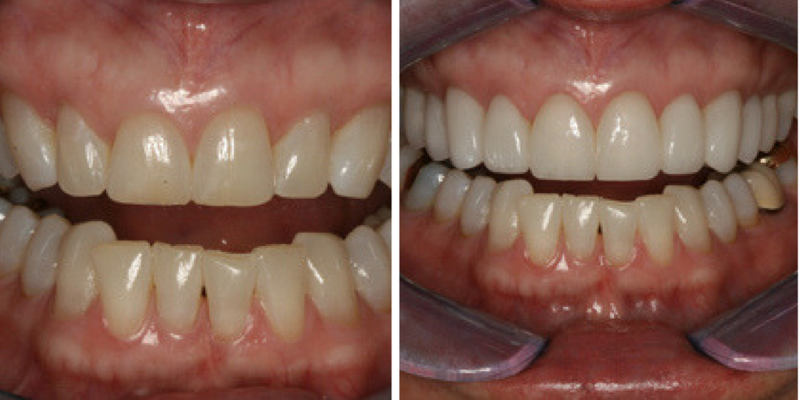 Dr. Hornbrook appreciates the artistry and gorgeous results that can be achieved by utilizing minimal prep veneers restorations. These veneers were .2mm in thickness, eliminating the bulkiness or bulbousness created by other traditional no prep or minimal prep restorations. Denise loved her new smile and the conservative nature of no preparation veneers. With a vivacious personality and outstanding people skills, Denise became Dr. Hornbrook’s new in-office marketing weapon. Her smile says everything! Now patients that come in and want to see what a minimal prep veneers smile looks like have a living model. Do you provide aesthetic services to your employees as a marketing tool? Let us know your thoughts on this case in the comments!